Disclaimers: PayPal is like a bank. Sometimes after creating an account, they might ask you to verify your identity. Sometimes it could be through proving your photo ID and need other business information. If not, your account could be restricted. Thus, you are creating the account by following the below instruction at your own risk. I should not be responsible if PayPal restricts your account from operation without any reason or at a later time. Here I am providing you this information the best of my knowledge and welcome all of you to share ideas if something else also works for you. Did you read my previous post on how to create “Register Paypal with “oVPN Spider” to Fake Your Address“? That was about creating a PayPal account with fake IP address done from an Android phone. Whether that post or this post, it only allows us to create a PayPal account that allows Send/Receive money, but we still cannot withdraw, because we don’t have a bank account in the US to connect. For withdrawing, you can use my service if you don’t have a bank abroad to connect yet. Today I would like to introduce another way to register another PayPal account from your PC. Let’s go into details with the first one. 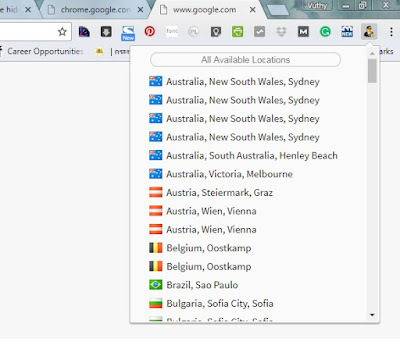 After installing Hide My IP, you will see an icon in your Google Chrome. Hover it, you can see a list of country that you would like your IP to appear. For this case, I am going to choose California, Los Angeles. The next thing we do is to register an account with Textnow.com, so that we will have a free telephone number in the US, you will need a Los Angeles area code before this. After register, you will need to log into your email account to verify before using. Then you can start registering a new Gmail account, when registering a Gmail account, they will send you a text to verify your location. Now we have the phone number, no worry! 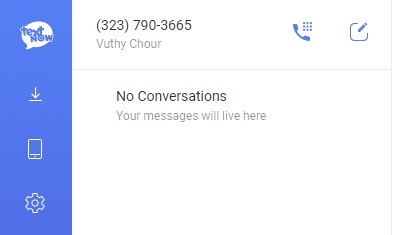 You can either allow Google to call or send you a text sms. If it does not work, no worry! 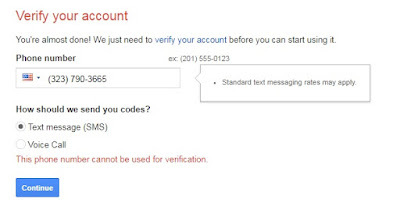 You can register a new gmail account with Cambodian address, verify with your local phone number. Move on to the next step. After having the Gmail account, then we can start with registering a new PayPal account. Of course, you will need to have a US home address, postal code, probably not necessarily a US phone number. For this case, I use fake address generator, all of the information you need is there. All is done! And the PayPal account works! 🙂 Proven below.